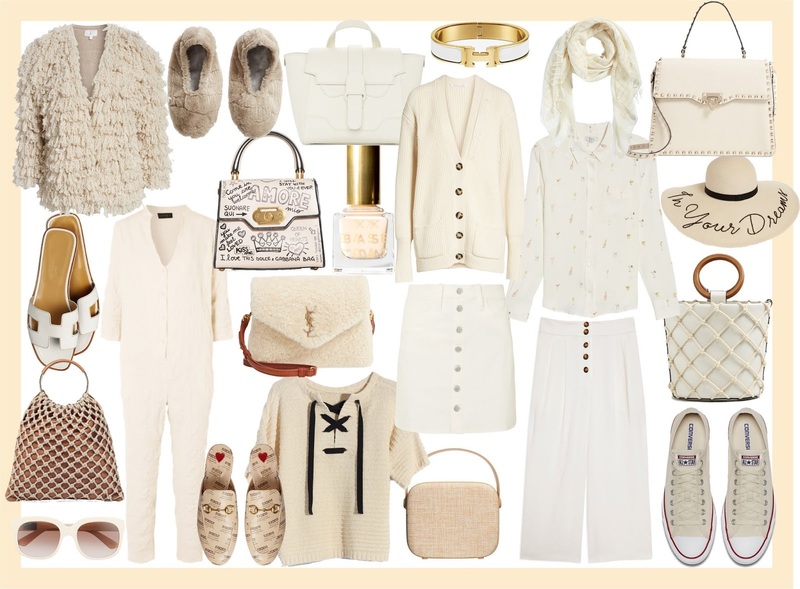 I'm loving all things different shades of white, creams or off-white clothing and accessories are so versatile that they work during all the seasons of the year. I'm absolutely loving the Saint Laurent shearling Loulou bag, Topshop horn trousers, the Lou & Grey puff jacket, and the Hatch Taylor jumpsuit. 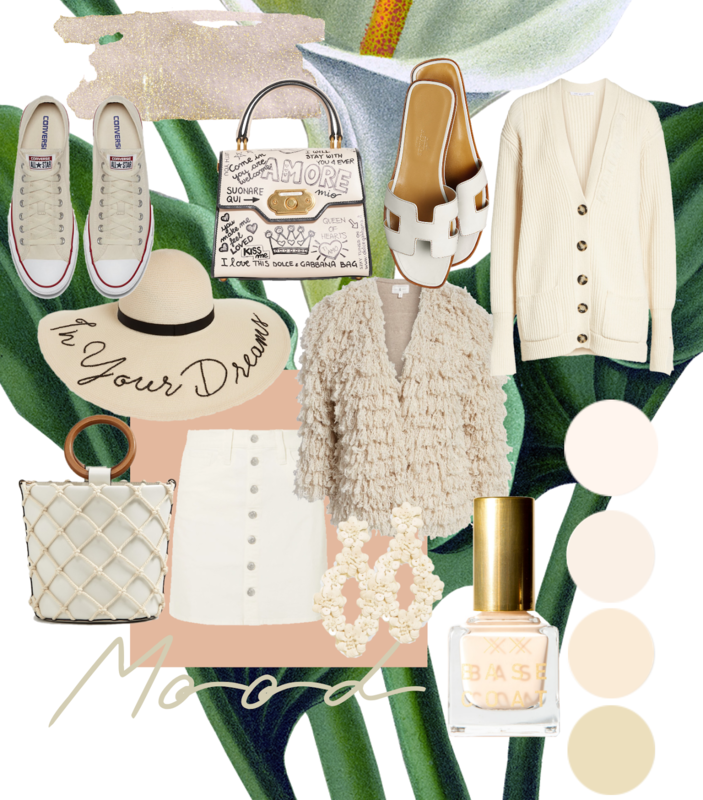 Check all my favorites in shades of white below!